We have completely improved our reporting dashboard to include all the important information you need from campaigns. Including a timelines of impressions, actions & clicks. Browsing between tabs within the app is now much smoother & more fluid. 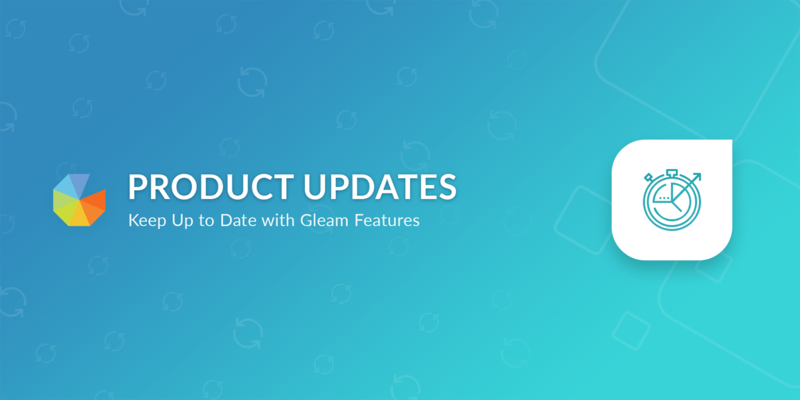 You can now earn credit or cash for referring users to Gleam. We automatically include your referral link in any Gleam branding within the app, so you can now earn referrals even for people clicking through from your contest widget. After installing Gleam to any tab on Facebook, we generate a smart link that sends users to the right landing page based on what device they are using. If you have a contest installed on Facebook with a Facebook action too then when a user comes through the Like Gate we will automatically verify the like within the widget also. You can now connect your Bit.ly account to Gleam, this means that we will use your Bit.ly account to shorten all viral referral links that we create. This will also work if you have completely custom branded Bit.ly links. You can now tell Gleam to use your own custom Facebook app for our Viral Share action type. This means that users will see you brand name when sharing (and not Gleam). We have added a new action type for business users that allows you to upload any media you want directly from the widget. This includes videos & images (you can specify the required formats).